Murano is known for its long tradition in the production and manufacturing of glass. I don’t exactly know how much of the stuff you get there today is Chinese, but I guess the island still adds to the charm of the Venice. 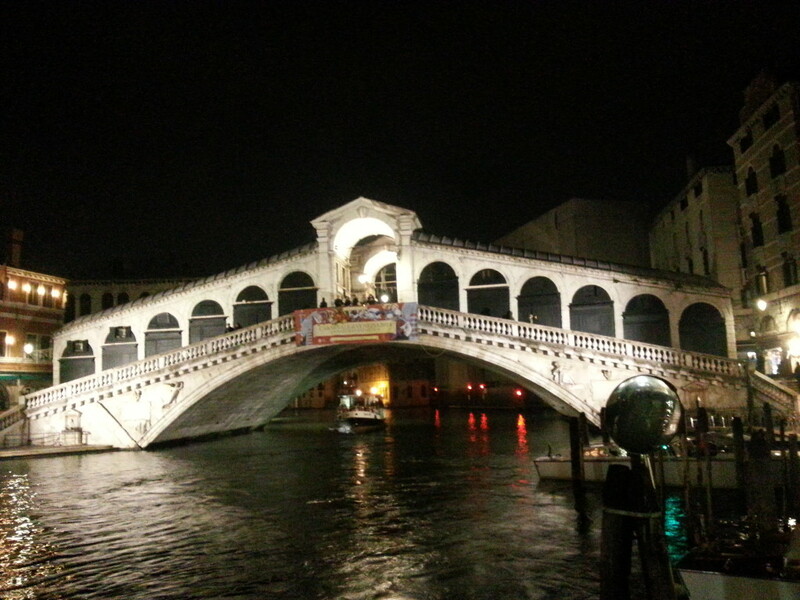 We enjoyed dinner at a restaurant that had a beautiful view on the Rialto bridge.